← Evans: The Women’s Wave Rocked the Vote! In the NC House, out of 41 (! ), our candidates won 28 seats and lost 10 so far. 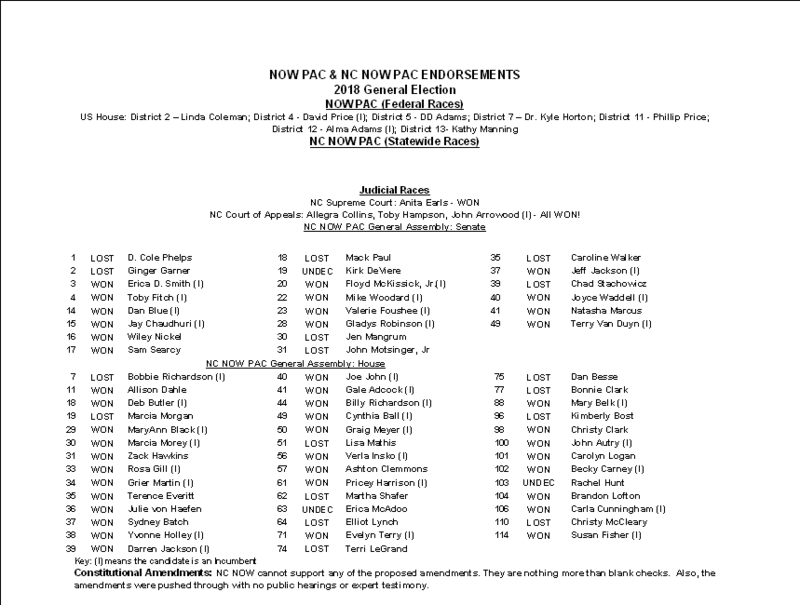 3 had not been declared yet (11/10/18) – Erica McAdoo, Christy Clark, and Rachel Hunt. (Update: Christy Clark and Rachel Hunt won, Rachel Hunt by 68 votes in a recount!) The GOP claims money made the difference, but we know women and motivation did! The money had to come from somewhere. Our statewide Judicial candidates did very well, which is excellent for North Carolina. Civil rights attorney Anita Earls is in the NC Supreme Court. It looks a lot like misogyny worked in Earls’ favor. Earls ran against long time Supreme Court justice Barbara Jackson. Jackson had “been on the N.C. Supreme Court since 2010 and was on the N.C. Court of Appeals for six years prior to that,” according to the News and Observer, 10/19/18. This is the race that the young male lawyer, Chris Anglin, entered as a Republican and the NCGA leadership tried to block him from using the Republican label, even though he had registered as a Republican. Turns out, Anglin took 15% of the vote, and it feels likely he took it away from the incumbent (female) Supreme Court justice. Anglin barely campaigned. 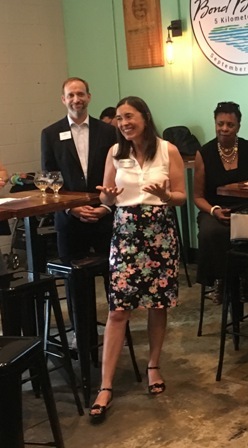 More on the judicial race results at “Democrat Anita Earls claims victory in NC Supreme Court race,” 11/6/18, News and Observer. The Congressional races were disappointing. The national NOW PAC endorsed 7 candidates, and many showed great progress and improvement in likelihood of being elected via various polls. However, only incumbents Congressman David Price, and Congresswoman Alma Adams winning of our endorsed candidates. Incumbent GK Butterfield also won his race, so only candidates in the three very gerrymandered district incumbents won. WRAL looked at all the races in “Some takeaways from NC’s elections,” 11/7/18 and had this to say about NC’s Congressional races. That kind of completely unfair resulting representation is appalling. We are proud that candidates Kathy Manning and Linda Coleman got so close. Dr. Kyle Horton did well too, and with much less help. 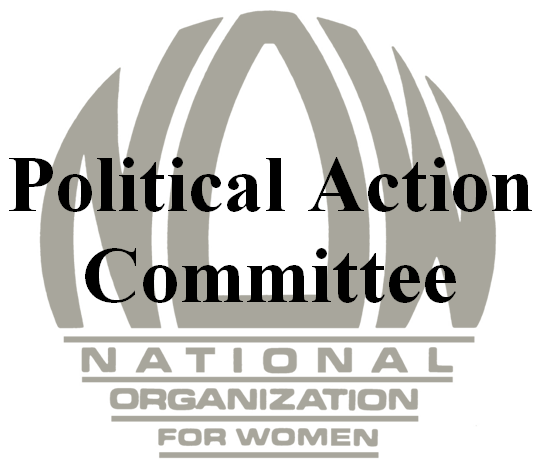 The National NOW PAC endorses in national elections, the NC NOW PAC in statewide elections. Our PACs do not endorse in local elections. We are excited about the many new legislators who start in the 2019-2020 session in January, 2019. We are even more excited about the many women who won and who will take their places in January. This entry was posted in endorsements, gerrymander, voting, women and tagged elections, endorsements, gerrymander, voting, women. Bookmark the permalink.